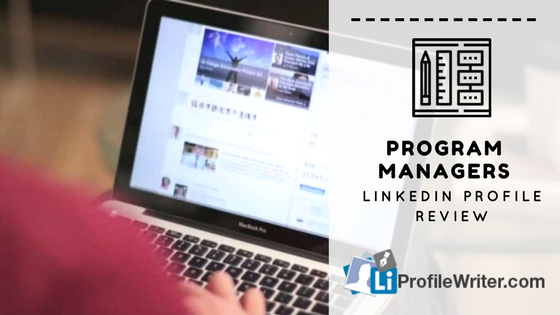 The program managers who prefer creating up to the mark LinkedIn profiles get higher chances of quick promotions. However, the 25% people who’re interested in becoming program manager but don’t focus on creating LinkedIn profile actually reduce 10% chances of landing desired jobs. Therefore, when you start pursuing an education in this field, make sure that LinkedIn profile should be created earlier. Your profile picture and headline are two of the most important and most viewed elements of your profile. Consider updating your headline to give a quick overview of your background and the type of position you are seeking. Instead of ‘Seeking New Opportunities’, you could update your headline to say ‘Experienced Project Manager Seeking New Opportunity. You might be also interested in our data manager Linkedin profile review. Build more connections to brighten up chances of availing more opportunities. This is a quite simpler way to get ultimate success. Never take the option of using personal profile photo for granted. This is as important as creating the profile. Discuss all the major skills in your profile. For example, skilled in executing and leading multi-disciplinary and complex projects. 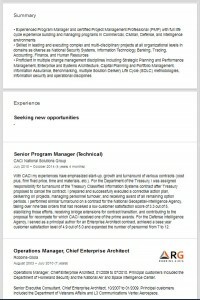 Don’t forget to share about two recent positions either you’re unemployed or working in a corporation. The typos, wrong spellings and grammar errors are enough to change any employer’s mind towards hiring you. The summary is one of the important sections in LinkedIn profile. Make sure that you add all the relevant info in this section. Do you know that discussing major duties is as important as job titles along with names of employers? Don’t write in the third person. Unlike a resume, the LinkedIn profile is only written in the first person. Keep the field (for which you’re hunting job) in mind. As a program manager, you need to discuss everything from technical to non-technical sides of performing duties. Always update basis of the profile at least twice a week. The experts or professionals in the field of program management know well about building a successful LinkedIn profile. They always believe on updating info in profile by showing the concerned behavior. Never forget to discuss that you are proficient in various disciplines of change management i.e. Performance Strategic planning. Once you think of all major points that can give an improved outlook to your profile, you can be able to impress more employers. How much time do you give in reading what you’ve mentioned in LinkedIn profile so far? At least review the content once a month to make corrections and adding updates. Keep your focus on spelling errors and small grammatical mistakes. Such omissions actually make it hard to understand for employers and create a bad impression as well. Jump into the summary’s section to check which skills, job duties (you’ve performed) and other important points have been discussed. Read it fully and make required changes. Add the media files to grab more attention of the employers. 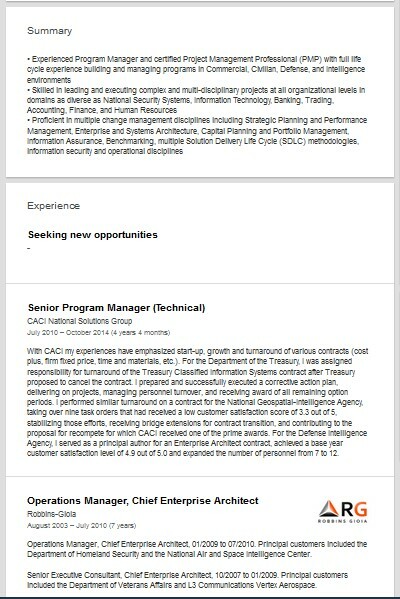 As a former or employed program manager, no one would expect the Media’s section empty in your profile. Share the presentations, blogs or videos etc.